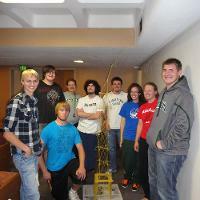 Live and learn with other students that share your academic interests. Students with an academic major in the College of Engineering & Mines (CEM) have an option to live and learn together in McVey Hall. This a great opportunity to live with other students who share your passion for studies in the College of Engineering and Mines. You will have the chance to focus on academic achievement in a productive and supportive setting, as well as, combine the scholarly and social aspects of student life. 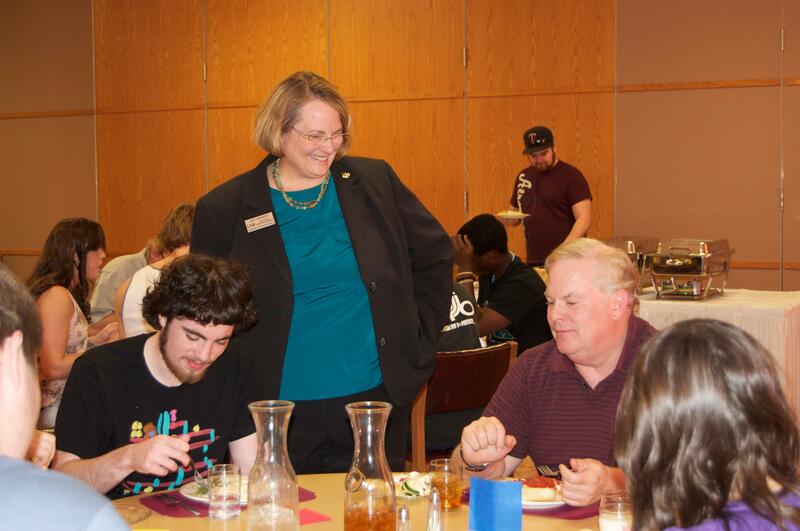 Enjoy activities including tutoring, advising, and lunch/dinner with various department faculty and staff. The Resident Assistant (RA) on this floor is also an engineering student. 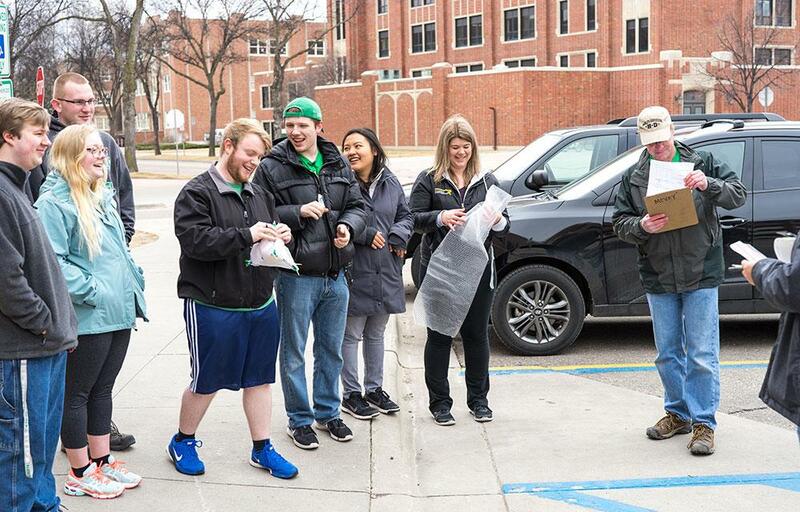 Students, staff and engineering faculty pose at the LLC egg drop contest. 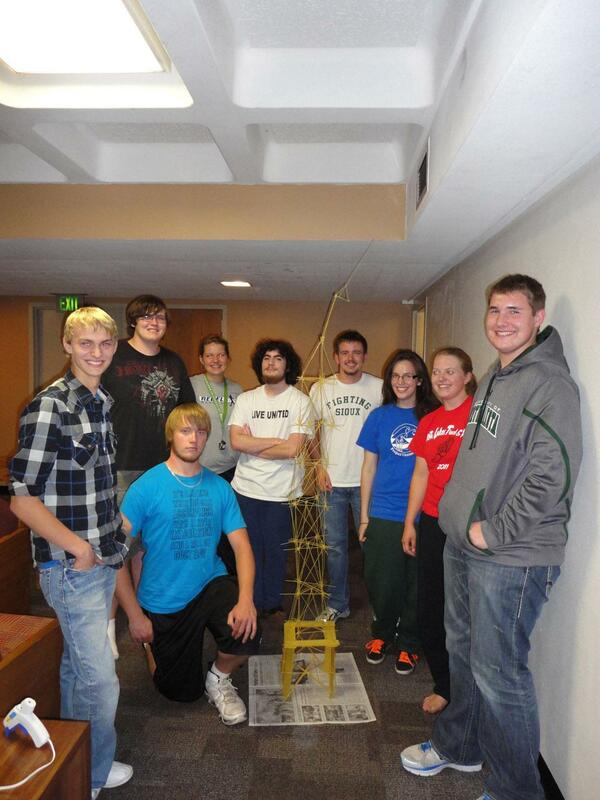 Must have a major in the College of Engineering & Mines. Tutoring takes place every Tuesday and Thursday on the floor. 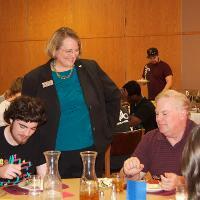 Join a faculty member for dinner at Wilkerson Dining Center. Residents in this community have a dedicated computer workstation right on their wing with the state-of-the-art programs needed for engineering students. 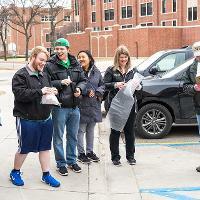 UND’s Engineering Living & Learning Community participate in the annual Egg Drop, designed to promote fun and teamwork. To enroll in this Living & Learning Communities indicate the community on your residence hall application. If you have questions, please call: Housing at 701.777.4251 or the Student Success Center at 701.777.2717.